I’ll be hanging up this flyer on local telephone poles! Wish you could attend! Learn to Make “First Walkers”! Why make your children’s shoes? Well, they’d be locally-made, not in some distant and possibly unhealthy factory. 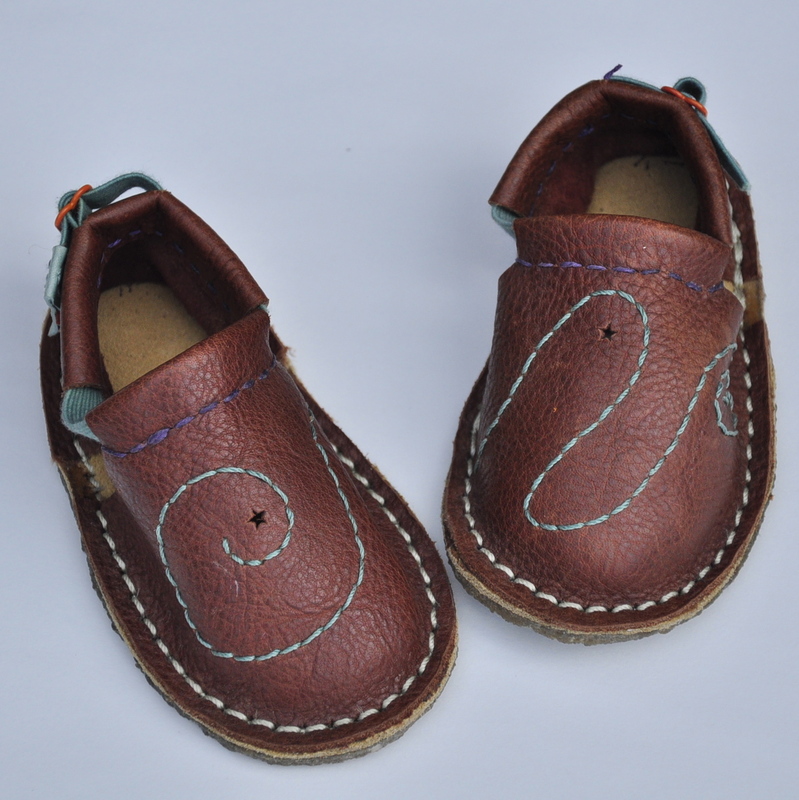 You can select the materials – recycled leather, cloth, non-petroleum-based soling… You can express your individuality and that of your child by the design and embellishment choices you make. You can assure your child has healthy footwear – with flexible soling, no heel and a wide toe area, as close to being barefoot as possible. And, they are sure to cost a lot less!